Beach Fossils' new album, Somersault, has all the relaxed guitar riffs, dreamily floating vocals, and nostalgic lyrics you could hope for in an early summer release. With Dustin Payseur's sighing voice floating like a shimmering mirage above varied instrumentation, Somersault isn't the kind of summer album you'll hear blaring from car windows and spilling out of bars, but the kind you'll let drift over you like a breeze as you pop open a cold drink in preparation for a long afternoon of relaxation. The most distinctive aspect of Beach Fossils' sound is Payseur's melancholy, breathy singing style. These vocals are as present on Somersault as on any of the band's previous work and contribute to the warm atmosphere the album generates. Most notably, on collaboration track "Tangerine," Payseur's voice seductively compliments the song's chorus, sung by Rachel Goswell of shoegaze/emo band Slowdive. Its second verse paints an idyllic summer picture as Payseur reminisces about, "Skating underneath the streetlight/ Lying together when we get high." The song's chorus repeats its title, "Tangerine," which seems like a color that appropriately represents the mood of this track and the rest of the album. More classic Beach Fossils vocals stand out on "May 1st" as a laid-back egg-shaker keeps time while Payseur sighs about the setting sun. The egg shaker is only one of the wide assortment of instruments that weave their way through Somersault. Strings are featured on the opening track, "This Year" as well as on the single "Saint Ivy" in which short, rhythmic violin chords create the impression of a ticking clock to back lyrics lamenting time spent on a failed relationship. A jazzy flute solo provides a surprising interlude in the middle of this track as well, and, while it seems out of place at first, the trills contribute to the lighthearted regret in a song that seems to shrug and say "Oh well!" 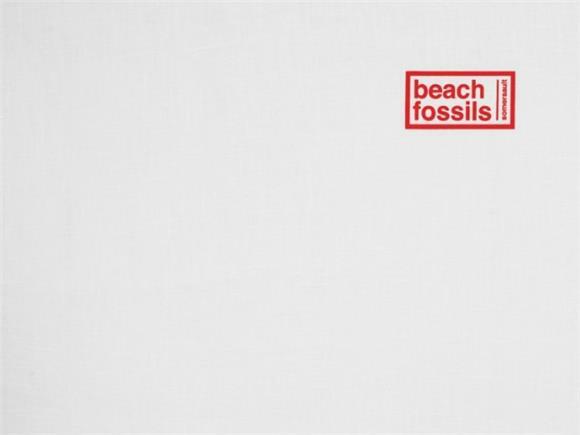 Atmospheric music like Beach Fossils' can encourage a sort of big picture approach to listening where each song forms a sort of backdrop with no important details. Somersault, however, delivers strong lyrical imagery that is melancholic even while the overall feel of the album is warm and casual. "Sugar" and "Down the Line" in particular create a sense of longing and mental numbness through lyrics that are rhythmically smooth and effortlessly rhymed. Somersault is the first Beach Fossils album in which guitarist Tommy Davidson and bassist Jack Doyle Smith collaborated with Payseur in the songwriting process. This increased collaboration in a band that began its lifespan as Payseur's solo project makes Somersault Beach Fossils' most dynamic album so far, both in terms of songwriting and instrumentation.